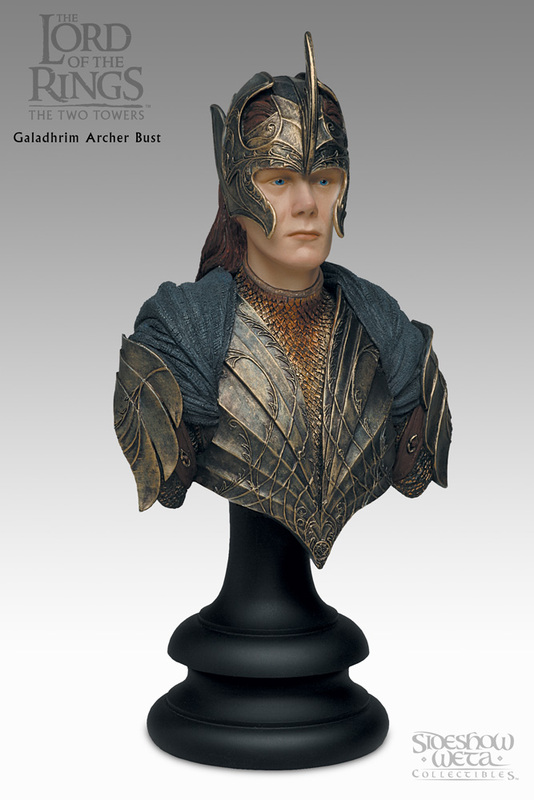 Gilgalad's collar. His hair covers the top portion of both sides, and rather then guessing, I just ended the design. One version is in colour, showing the various colours on the collar, the other is just black and white. The inner square with the stars - the stars are 8 pointed by the looks of things. The design is like that on decipher cards like http://www.decipher.com/lordoftherings/cardlists/realms/large/121legolassonof.html . Look in the top right corner of the card. (or it may be 4 , 5 and 6 like http://www.theonering.net/movie/scrapbook/large/2346 ). however it was getting too small for me to trace. The circles represent the placement of those stars. There was also a banner in a glass case that was constructed of appliqué work. The banner of GilGalad was somewhat unusual. This was in a case just past the Arwen Bedroom set near the exit. This appeared to be a ripped and torn bit of velvet/velveteen. The stars appeared to be thin leather appliquéd to the velvet.